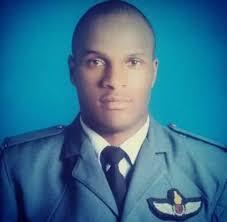 THE trial of an Airforce of Zimbabwe pilot accused of killing his lawyer girlfriend in a crime of passion late last year, kicks off in Gweru today. In an interview, Chief Public Prosecutor Mr Samuel Pedzisayi who is in charge of Midlands province, said High Court judge Justice Thompson Mabhikwa will preside over 17 murder cases in the next two weeks. “The first circuit for the 2019 legal year for the Midlands is starting on Monday and 17 cases will be heard before Justice Mabhikwa,” he said. Mr Pedzisayi said the trial of Airforce of Zimbabwe pilot, Tashinga Musonza (29) who allegedly killed his lawyer girlfriend Miss Lucy Duve (32) in a crime of passion in November last year kicks off today. “Gokwe has six cases, Gweru four, Shurugwi three, Zvishavane two, Lower Gweru and Lalapansi one each,” he said. Musonza allegedly fatally assaulted his Gweru-based lawyer who was working for a local non-governmental organisation (NGO) accusing her of cheating on him with his colleague. It is the State’s case that on November 25, Musonza went to their lodgings around 10PM and found Ms Duve asleep. He allegedly accused her of cheating on him with his colleague. The two drove to the airbase since Musonza wanted the matter clarified. They allegedly woke up Ms Duve’s alleged lover who denied being in a relationship with her. A postmortem report showed that Miss Duve had a fractured skull, blood clots in her brain and that her lungs were affected by the attack among other injuries. The Minister of Justice, Legal and Parliamentary Affairs Minister, Cde Ziyambi Ziyambi, together with Minister Local Government, Public Works and National Housing Cde July Moyo visited the Duve family in Suburbs, Bulawayo, to console the family.